Prime Minister of Ukraine Volodymyr Groysman and EU Commissioner for European Neighborhood Policy and Enlargement Johannes Hahn in Vinnytsia on Thursday have officially represented a project to support decentralization reform “The U-LEAD with Europe: Ukraine Local Empowerment, Accountability and Development Programme”. 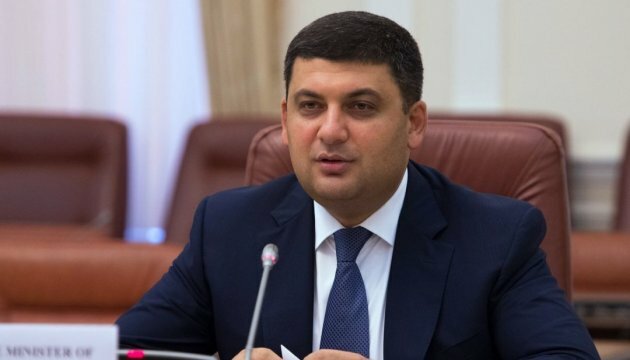 "The implementation of the new project on government decentralization will allow us to build a qualitative management model, based on transferring powers, responsibilities and resources to the government, which will be closer to people and be most efficient,” Prime Minister Groysman said while representing the program. The official start of the program and presentation of its main provisions took place with participation of representatives of the Ukrainian local, regional and national government, as well as international donors and agencies that will implement the program, representatives of the European Commission, Denmark, Germany, Poland and Sweden.